Swimming Pool Cleaning Surprise - Contact Our Pool Cleaners Today! | Universal Pool Service Inc. Located just about 45 minutes outside of downtown Phoenix, Surprise is a great place where you can connect all the essential aspects of your life: family, work, and recreation. With the Arizona heat, the best way to cool down is taking a dip in a swimming pool! Not only are they refreshing, they are also a great source of entertainment and exercise for everyone in the family! Swimming pools are tons of fun for all, and we want to help you keep yours running perfectly. For over 15 years, Universal Pool Service Inc. has provided professional pool cleaning, maintenance, and repair services throughout Arizona. When you need maintenance, repair, or pool cleaning services, you can count on Universal Pool Service Inc. If you are sick of constantly cleaning pool debris, overwhelmed by your pool’s many systems, or concerned that your pool isn’t operating properly and is in need of swimming pool maintenance, please call us right away! Want Your Pool to Shimmer and Sparkle? We Can Help! Our experienced pool cleaners and repair technicians are committed to providing exceptional service that is fast, trustworthy, and most importantly, transparent. When it comes to pool cleaning services in Surprise, AZ, we realize there are several companies to choose from. However, at Universal Pool Service we have the proper knowledge, experience, and equipment to provide the best Arizona pool maintenance service. Our affordable pool services are tough to beat—request a free pool cleaning quote today! 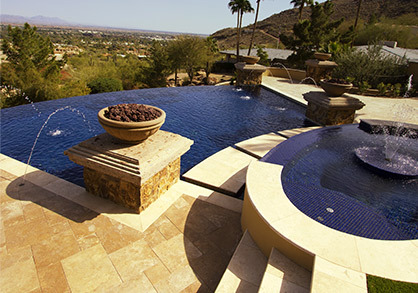 Learn More About Our Pool Services in Surprise, AZ! 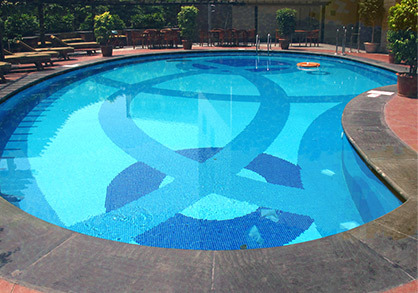 Pool Chemical Maintenance – Nobody wants to step foot in a pool that looks filthy and contaminated. A mild blend of pool cleaning chemicals is what you need to keep your pool safe, clean, and shimmery. 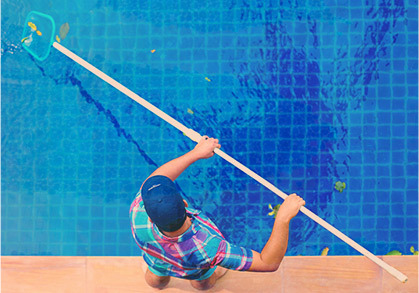 At Universal Pool Service, our professional pool cleaners know how to assess and maintain the proper balance of chemicals in your pool so that it stays safe, sanitary, and clean without causing irritation to the eyes, skin, or lungs to those who decide to go for a swim. BBB Maintenance – One of our more popular pool packages, BBB Maintenance provides your pool with the upkeep it needs to optimally perform. This package includes all the bothersome, annoying, and time-consuming tasks of pool maintenance: brushing, backwashing, cleaning the strainer baskets, and pool filter repair and flushing. Interested in monthly pool services from Universal Pool Service? Contact us today. If you want to enjoy a pool without having to worry about cleaning and maintaining it, our complete pool services are just what you need! When you hire Universal Pool Services, you can ensure that the pool cleaning, chemical balancing, and filter flushing will be completed to keep your pool in optimal condition. We will handle all the details of pool maintenance and cleaning so that you can relax, get a tan, and stay cool in the Arizona heat! Whether you want monthly or weekly pool services, our team can help!